It’s what cats have been waiting for: and now it’s here! Finally, a program that bats down old ideas, eviscerates paradigms, and launches cats into an exciting future where they sleep less and get more done — around the house, the community, even the planet! And… it’s really here! In perfect binding paperback (or somesuch) brought to you for a mere $6.99. A small investment in your cat’s future career success. Finally a book cats can really sink their teeth into and expand their mind. Don’t be the only cat on the block left behind. Keep up with the Jones’s cat for only $6.99. 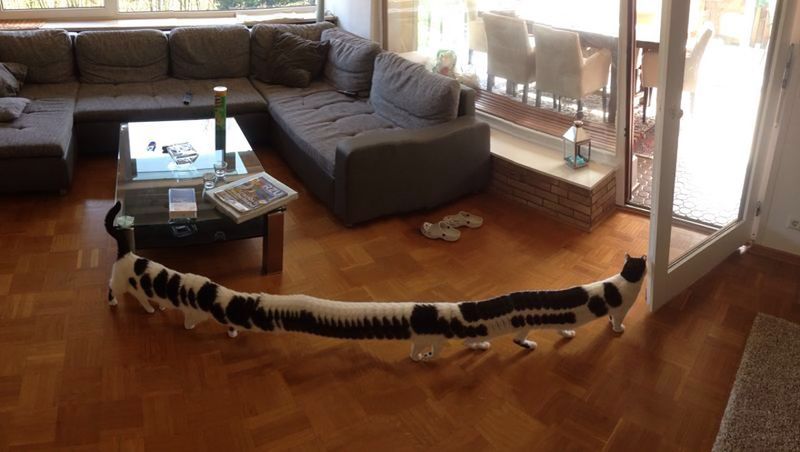 Either this cat has 16 legs, or he just photobombed the panoramic shot. Welcome, cats of the world and their people. Now is an extremely exciting time to be a cat! Our Ebook is out now at Smashwords, and can be purchased for $2.99. The hardback is in production and should be available starting in April 2013. Stay tuned here for more vital, breaking news of Time Management for Cats. To learn more about the cats behind this and other Self Help for Cats projects, please visit the Self Help for Cats site @ WordPress. 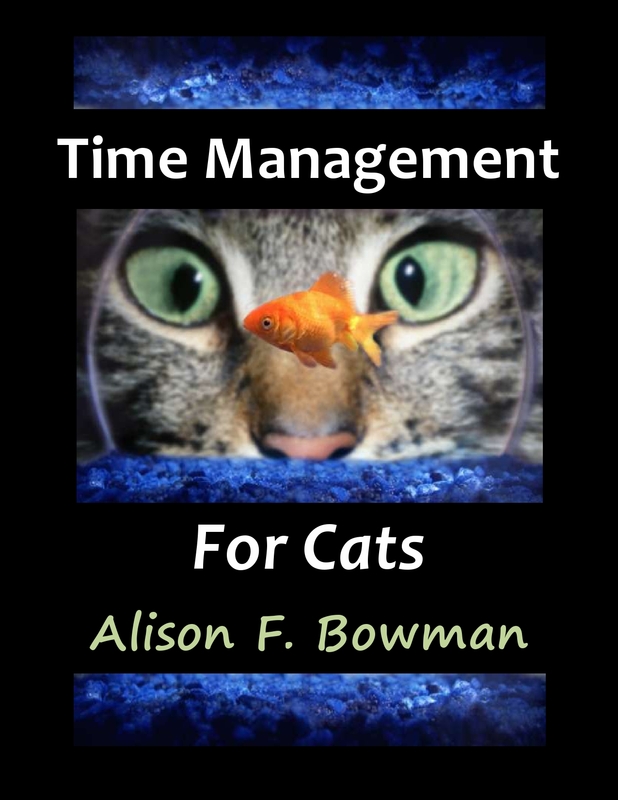 Ready for More Time Management for Cats? Stay abreast of the latest TMC news. Enter your email address to receive notifications. Self Help for Cats, the inimitable Wordpress and Twitter blogs, now brings you an incomparable book of tips and tricks for unemployed cats and jobs seekers of all stripes. The Most Advanced Pet Comm the World Has Ever Seen?